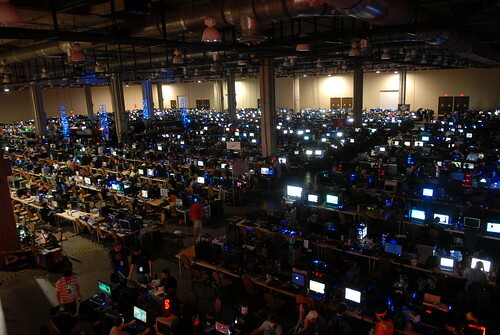 In 2 days we’ll be in the lone star state for this year’s QuakeCon in Dallas, Texas. NVIDIA is at the show in partnership with EVGA and Razer, and we’re gonna be very busy with a can’t-miss lineup of demos, giveaways, and presentations in our booth and on the mainstage. If you’re going, we want to see you. Check below for all the places you can find us, and if you’re not going to QuakeCon, you can still stay up to date with our coverage on the blog, Twitter and Facebook. Swing by, we’ll be running contests and activities with great prizes. Our own Tom Petersen will be giving a special talk but you’ll have to wait till Friday to find out what it’s about. We’re back for the 2nd annual Hardware Workshop with PC Perspective. And, of course, we’re doing giveaways, so don’t miss it.